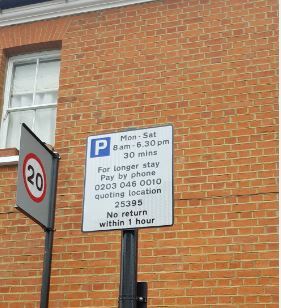 Ealing Council's draft transport proposals aimed at reducing traffic in the borough have been described as ' crazy' and a significant threat for small businesses. Cutting stop and shop bays and having all-day CPZs are part of the local implentation plan (LIP) to tie-in with the London Mayor's transport strategy. The main objectives of the LIP are to encourage an increase in walking, cycling and use of public transport, reduce the environmental footprint of local transport and improve road safety. A council spokesperson said: '' The council is committed to helping local businesses thrive wherever possible and we appreciate that each local shopping area has different circumstances. For this reason we will be consulting with local residents and businesses for this trial. We will assess how bays are currently being used and will consider people’s opinions carefully with no changes being introduced without consultation. “We want to encourage people to walk, cycle and use public transport as much as possible for short trips to local shops. This is in line with our own ongoing commitments to improve air quality and reduce emissions and the Mayor of London's transport plan.